Dilute 1 part of product to 4 parts of water. Apply product annually or when contamination starts to appear. Users must comply in full with all their legal responsibilities under the Control of Pesticides Regulations 1986 (as amended), including complying with all Conditions of Approval. Using a low pressure sprayer or water can. 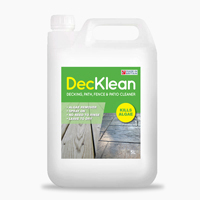 Apply 1 litre of diluted product per 3 to 10 square metres of surface, depending on the level of contamination. The product is best applied in dry, overcast conditions, do not apply if rain is expected within 4 to 5 hours. A second application may be made 1 to 2 months after the first, particularly for persistent contamination. Keep away from the treated surface until dry. 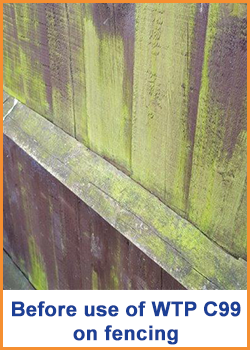 If the contamination is severe, the surface may require brushing a month after application. Keep animals away when applying until after the product has dried. If animals do come into contact when applying this product, ensure all affected areas and paws are thoroughly washed. 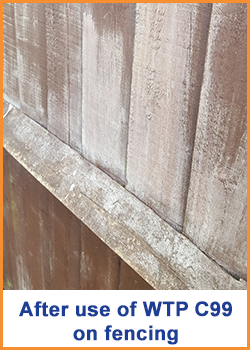 If applied to non-porous play equipment, allow the product to dry for at least 24 hours then wash down with clean water before use.